In most cases it is probably not worth the hassle to shop for a car on Black Friday. But if you live in Chicago and are in the market for a Buick or GMC you may want to consider buying one from Bill Kay Buick GMC, because if it snows on Christmas...your car is free. According to the Chicago Tribune, Bill Kay is offering what they call their "White Friday" sale. 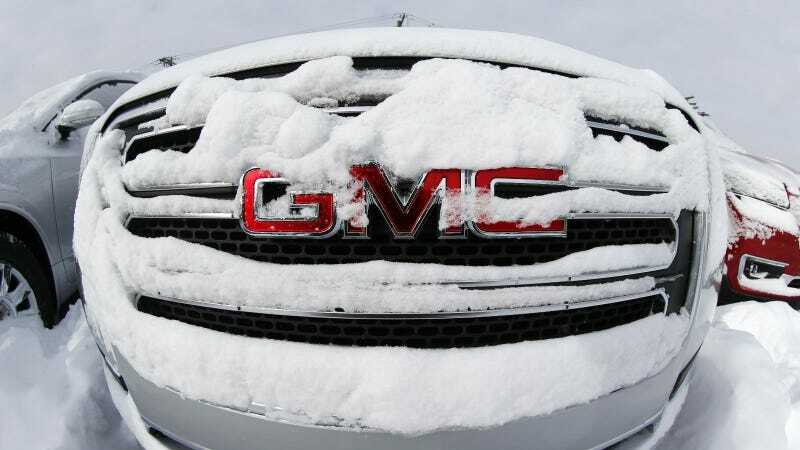 According to the ad if you purchase any new Buick or GMC on Friday November 28th or Saturday November 29th and it snows at least 6 inches on Christmas day, the dealership will refund your entire purchase price. Snow measured on 12/25/14 from 12:00AM – 11:59PM at O'Hare International Airport weather station. HCC Specialty Insurance Underwriters must verify snow measurement. Check reimbursements may take up to 14 days to process. Reimbursement will cover final selling price of vehicle, excluding taxes, title, license and dealer fees. Purchases or leases made on November 28th and 29th, 2014 only. This sounds like quite a gamble on the part of the dealership, especially given the winter weather that showed up a bit early in most parts of the country. However, keep in mind that Chicago only has a 40-50% chance of snow on Christmas day and that since 1958 it hasn't snowed more than 2.5% at O'Hare airport, and that was in 1965. So it would seem the odds are in the dealers favor, but if you were going to buy a Buick or GMC anyway, you happen to live in the area, and Bill Kay offers you the best deal, it is worth a shot. But don't give up a competitive discount for a long-shot at a free car.